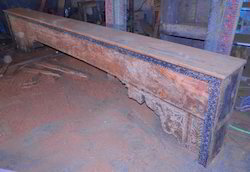 Iron Console table with Wooden Top. 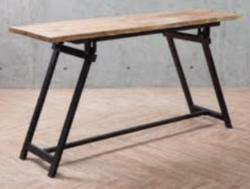 Folding console table in industrial style. Door Plasma T.V. 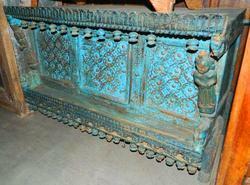 Unit with carved panel and metal fittings. 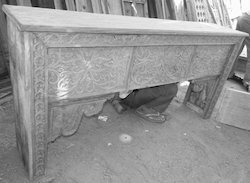 A repurposed sideboard made out of fine selection of pieces to provide a designer look and to meet the requirement of interiors. Further, it is examined on various parameters defined by company standards. Although it is available in customized form according to choices of our clients. 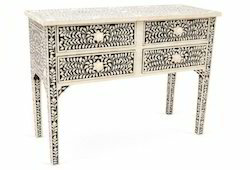 Ethnic Wooden Console Table with Intricately Carved front & borders fitted with ceramic tiles. 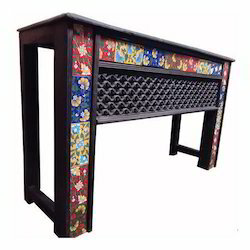 Designed for attractive theme decor, the offered table is designed in various shapes & designs. The ceramic tile pieces are matched and arranged in a manner that they provide an attractive combination in the piece. In order to ensure its flawlessness, our provided range is supervised under the guidance of skilled experienced and professional quality controllers. 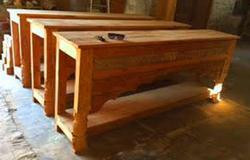 Furthermore, the offered table is available in various specifications as per the demands of our valued clients. 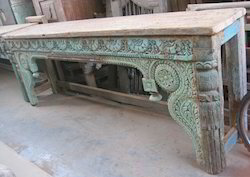 Repurposed Wooden Console Table with Carved front. 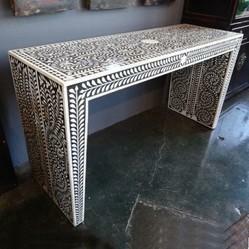 Designed for residential & commercial decor, the offered table is designed in various shapes & designs. The vintage pieces are repurposed in a manner that they provide an attractive combination in the piece. In order to ensure its flawlessness, our provided range is supervised under the guidance of skilled experienced and professional quality controllers. 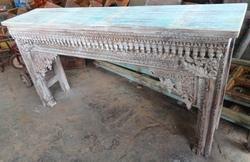 Furthermore, the offered table is available in various specifications as per the demands of our valued clients. 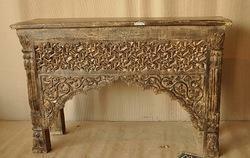 Console Table with Intricately Carved front. 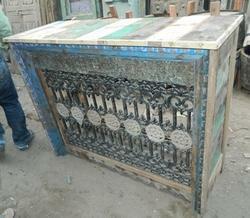 Designed for attractive theme decor, the offered table is designed in various shapes & designs. 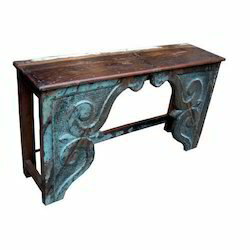 Present console table is in antique finish in a manner that they provide an attractive combination in the piece. In order to ensure its flawlessness, our provided range is supervised under the guidance of skilled experienced and professional quality controllers. 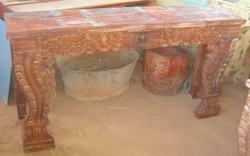 Furthermore, the offered table is available in various specifications as per the demands of our valued clients. 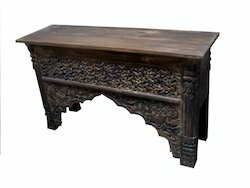 Looking for Console table and Entertainment Unit ?